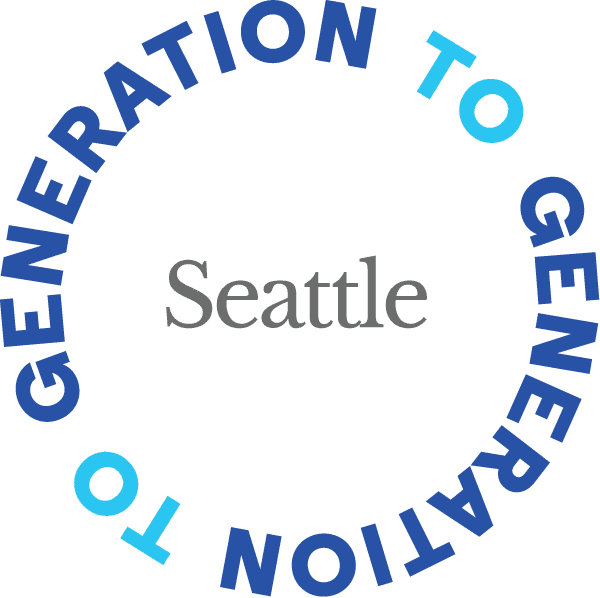 The Generation To Generation Seattle movement mobilizes Adults age 50+ to improve the lives of young people in vulnerable situations, reinforcing the interdependence between older and younger generations. 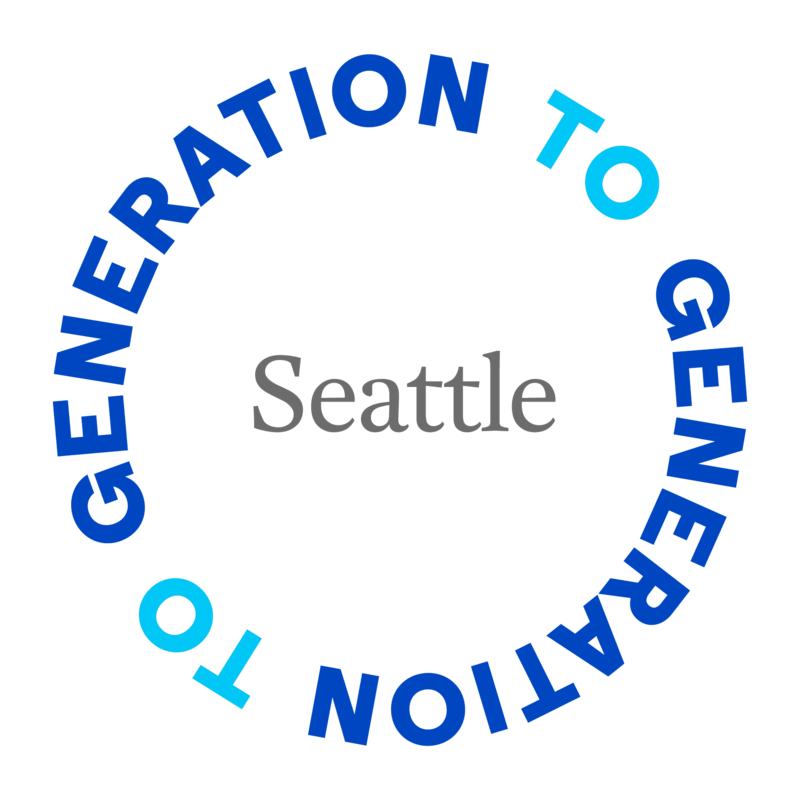 The Seattle Gen2Gen movement focuses on education equity. Nationally, through Encore.org, millions of people are using their passions, skills and decades of experience to make a difference in their communities and the world. Because the Greater Seattle community responded enthusiastically to this new intergenerational movement, Seattle was chosen as one of four Showcase Cities to pilot this five-year national campaign to mobilize one million adults age 50+ to improve the lives of youth. 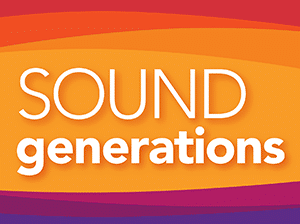 Click here to learn more and stay in touch with Gen2Gen Seattle. Gen2Gen Seattle is supported by a Steering Committee led by leadership from Boys & Girls Clubs of King County, Big Brothers/Big Sisters of Puget Sound, Sound Generations, Mentoring Works, Social Venture Partners, the Mactus Group, plus three Encore Fellow alumni who bring significant for-profit and social purpose experience. See a wide range of other opportunities to make a difference with Seattle youth. Our strategic ally, 501 Commons boosts the capacity of more than 1,000 nonprofits across the state of Washington and beyond through its affordable services delivered by staff and 500+ experienced volunteer consultants in the Executive Service Corps. 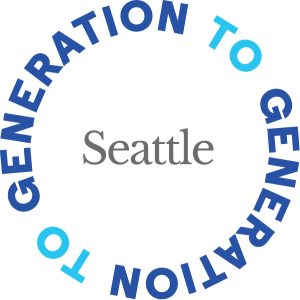 The Generation To Generation Seattle movement (Gen2Gen Seattle) mobilizes Adults age 50+ to improve the lives of young people in vulnerable situations, reinforcing the interdependence that exists between older and younger generations. The Seattle Gen2Gen movement focuses on education equity. Serve in Seattle with our Partners: Boys & Girls Clubs, Big Brothers Big Sisters, & Educurious. Find more places to Serve in Seattle through our partner VolunteerMatch.org. Treehouse engages community volunteers to provide one-on-one academic support to middle and high school students in the area they need it most. Students request volunteers to help with tutoring, homework help, credit recovery support, senior project help, and more. Volunteers and students meet across King County in coffee shops, libraries, and community centers. Current Need: Volunteers in South King County. People of color and Spanish speakers are strongly encouraged to volunteer. Commitment: Most volunteers and students meet for 1 hour, 1x week, between 2:30-6pm, for the duration of the school year. Complete our volunteer application and register for an upcoming Graduation Success Volunteer Orientation (offered once a month). Do you have a passion for making a positive impact in the lives of kids? The Kirkland Boys & Girls Club is looking for Power Hour Tutors who are excited about helping kids be the best they can be! Commitment: 1.5 hours/week for one year. 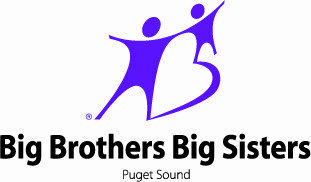 The Boys & Girls Clubs and Big Brothers Big Sisters seek to enroll 20 or more 50+ persons as “Bigs” to mentor and support kids, in a 1:1 context, Boys & Girls Clubs in Federal Way. Mentor a youth in Federal Way and support them in creating and implementing a plan to become an academically and civically successful person who lives healthfully. 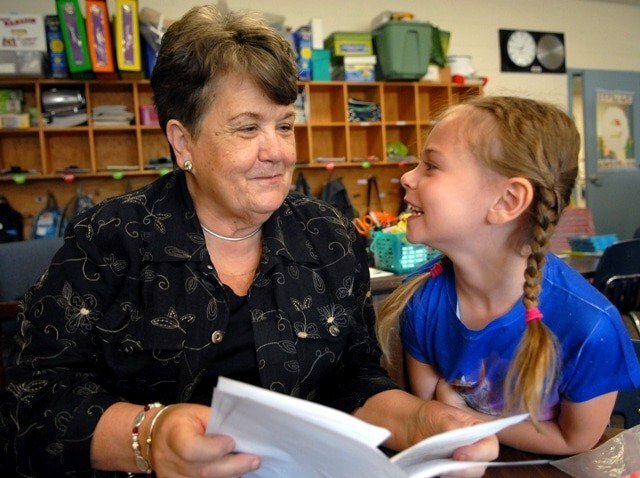 Volunteers will assist Club staff during “Power Hour,” working 1-on- 1 with elementary students who need tutoring help with their daily homework assignments. Volunteers might also be called on to help with various other duties, including but not limited to: assisting students with educational websites, basic Powerpoint/Word questions, playing games, coloring pictures, and reading to students. Training will be provided at a mandatory volunteer orientation, held at theClub, 10805 124 th Ave. NE, Kirkland. This role will serve as an after-school program support helper and a small group mentor. This volunteer will attend our Sammamish Teen Center once per week at the same designated day and time, and help with program implementation as needed. Additionally, this volunteer will be “assigned” a small group of BGC members to mentor and build a relationship with while at the Club. This volunteer role commits to spending time at the Sammamish Teen Center at least twice per week for 6 months. This volunteer role will be more involved in after school programs for our members and may even elect to lead a program (e.g. Chess, or Math Club) after getting some experience helping support. Educurious is the backbone organization for the 100,000 Opportunities Initiative in Seattle. Educurious will support and host small opportunity fairs to help young people to connect to employment and other resources. South King County has a robust education initiative to connect young people back to education, but we are hearing that students are dropping out to find jobs. Our goal with mentors is to add an extra layer of support for these young people so they can stay in school and work. Students across the country are using the Educurious curriculum that is project and problem biased. Students connect virtually to experts (volunteers) to ask for homework help, learn about new careers and ask questions related to post-secondary education. Students reach out periodically (there is no set schedule) and experts can respond as needed through our online portal. Participate in hiring fairs by helping youth navigate the fair – provide a welcoming atmosphere, assist with registration, help youth apply for jobs online, participate in mock interviews, review resumes, etc. At least 10 volunteers commit to serving as lead volunteers and commit to participating in all events. Lead volunteers help other volunteers and provide continuity for these events. Follow-Up with youth post hiring fair through phone call, email, etc. Mentors will check in on job application status, answer any questions, connect youth to additional resources i.e. driver’s license, food security, education, etc. Interactions will vary based on youth and need. Minimum age of 18 years old; Employed at current job for at least one month, or have another stable form of income, and/or be a full-time student; Have a valid photo ID; Have valid driver’s license and car insurance if part of community based program (if planning on driving the Little). Commit to at least 4 hours a month; Must commit to at least one year in our program. Share activities that you enjoy doing with your Little. Learn from each other. Must have the understanding that we all come from different backgrounds and these kids are looking for positive role models.